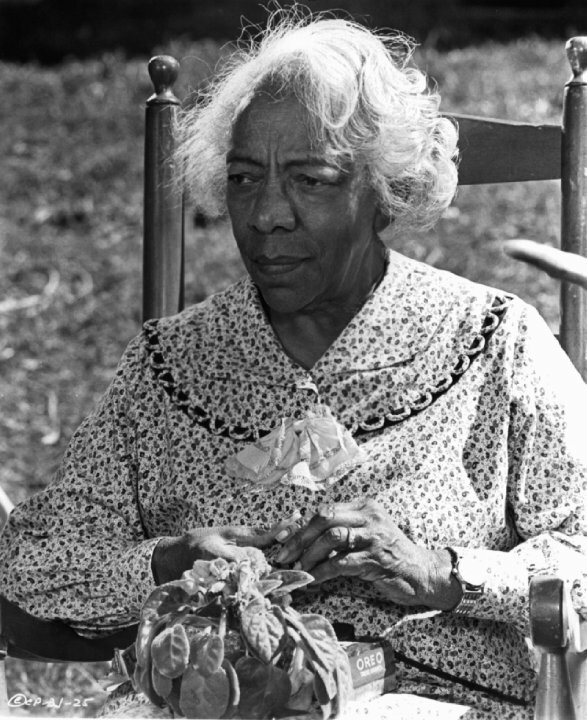 Born in Worcester, Massachusetts, on January 26, 1892, Zara Cully was one of ten siblings. She graduated from the Worcester School of Speech and Music, and was one of the oldest performers active in television at the time of her death. In 1940, after an appearance in New York City she became known as “one of the world’s greatest elocutionists”. After moving to Jacksonville, Florida, she began producing, writing, directing, and acting in numerous plays. For 15 years she was a drama teacher at her own studio as well as at Edward Waters College, and had become known as Florida’s “Dean of Drama” before her inability or unwillingness to adapt to the then-prevailing social customs in the South directed her decision to leave for Hollywood, where she became a regular performer at the Ebony Showcase Theatre. By the time she acquired the role of ‘Mother’ Jefferson, she had accumulated a long list of acting credentials spanning a half-century, including such movies as The Learning Tree, the Blaxploitation cult film Sugar Hill, The Liberation of L.B. Jones, The Great White Hope, and a starring role in Brother John. Her TV career went back to what critics call ‘the golden age of television’ including appearances on the highly acclaimed Playhouse 90 series. Aside from The Jeffersons, her television credits included The People Next Door (CBS Playhouse), Run for Your Life (NBC Matinee Theater), Cowboy in Africa, Name of the Game, Mod Squad, Night Gallery, and All in the Family. Although highly respected by many influential people in the film industry as a dedicated craftsman, she garnered little fame until the role of ‘Mother’ Jefferson quickly endeared her to television audiences throughout the United States and Canada. Cully’s first appearance as ‘Mother’ Olivia Jefferson was in a guest appearance on an episode of All in the Family entitled “Lionel’s Engagement” which aired February 9, 1974. She was 82 years old at the time. All three actors who portrayed Tom, Helen, and Jenny Willis on that episode were replaced with different actors by the time The Jeffersons became a spin-off on January 18, 1975, but Cully was kept on as Mother Jefferson. 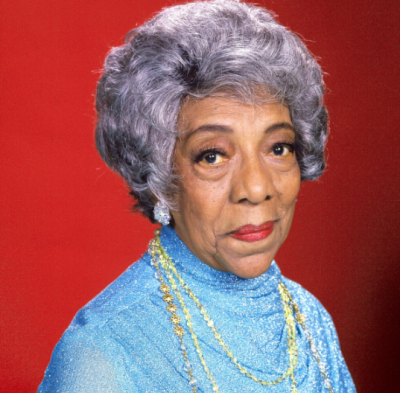 During the first 17 episodes of the third season of The Jeffersons, she was absent due to a severe case of pneumonia caused by a collapsed lung. Upon her recovery she returned to the show. Her last credited performance was an appearance in the ninth episode of the fourth season entitled “The Last Leaf”, which aired November 12, 1977, three months before her death. No special episode was created to center on her death, but it was addressed in the second episode of the fifth season entitled “Homecoming (pt 1)”, which aired September 27, 1978, seven months after her actual death. Cully died at the Cedars-Sinai Medical Center in Los Angeles on February 28, 1978 from lung cancer, aged 86. Services were held on March 2, 1978 at the Church of Christian Fellowship, in Los Angeles. She was interred at Forest Lawn Memorial Park (Glendale) in the Freedom Mausoleum, Columbarium of Victory. In attendance were the cast and crew of The Jeffersons, including show producer Norman Lear. 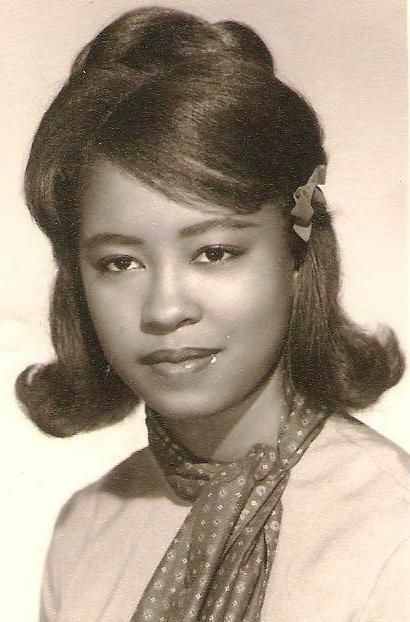 She was survived by a brother, Wendell Cully; two surviving children: Mrs. Mary Gale “Polly” Buggs (wife of then John A. Buggs, then-Deputy Director of the U.S. Civil Rights Commission, 1917-2005) and Emerson T. Brown, (1925-1980), as well as four grandchildren and two great grandchildren. She was preceded in death by her husband of 54 years, James M. Brown, Jr., (1888-1968), and two children, James M. Brown, III, (1915-1972), and a baby daughter (who died in 1919). She was posthumously awarded an NAACP special Image Award on June 9, 1978, at the 11th Annual NAACP Award ceremony.